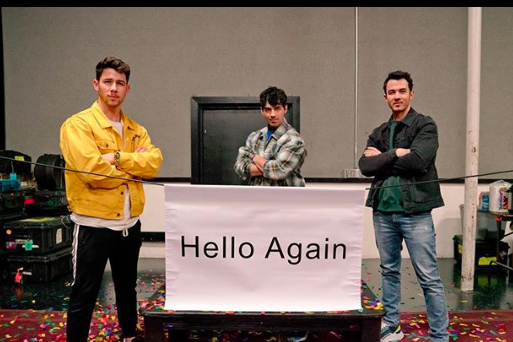 The Jonas Brothers announced on Thursday they were reuniting to release a single on Friday. After pop music heartbreakers The Jonas Brothers broke up in 2013, a small part of tween fandom died. The three brothers — Kevin, Joe, and Nick — stopped making music together after releasing four studio albums as a band. They were likable, wearing purity rings, and sporting lots of hairstyles when they left us. The bros were a staple of most middle school girls' iPod playlists, and I am betting you most likely had a poster. So it's no surprise that when the Jo Bros made a surprise announcement on Thursday that they would release a single on Friday at midnight, everyone freaked out. Including those now-grown middle school girls who **will** be attending their reunion concerts, no matter what. The single is called "Sucker," and fans got a preview of the song during a teaser for Carpool Karaoke with James Corden. It's fine. We're fine. I'm fine. Here are the best reactions on social media to the news.